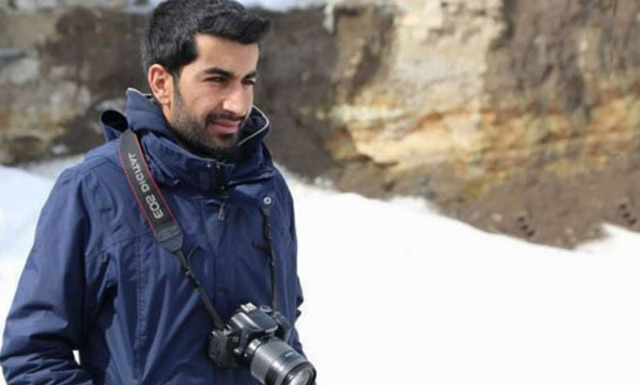 A Turkish journalist sentenced to eight years and nine months behind bars for publishing a Turkish Special Operations Teams video said that he does not regret being a reporter in an interview via his lawyer to P24, Platform for Independent Journalism. Dicle News Agency (DİHA) correspondent Nedim Türfent, is serving time for accusations that he is "being a member of a terrorist organisation." Turfent said that he attended five court hearings through video conference from his prison. "It was a very mechanical process. Peoples' lives depend on this process yet it was so impersonal, I felt like I was talking to an ice-cold screen," he said. Turfent said that he was mistreated, harassed both during his detainment period, and in jail, and even received death threats from the officers. "But I never regretted reporting the news, " he said. Reporters Without Borders (RSF) ranks Turkey as 155th among 180 countries and lists it as one of the five worst offenders of press freedom in the world. Most of the detained journalists in Turkey have yet to be convicted and are under provisional detention, an exceptional measure that has become endemic since the 2016 coup attempt. Some of Turkey's most prominent journalists, such as Ahmet Altan, Mehmet Altan and Nazli Ilicak, recently given life sentences which shocked the observers and rights defenders alike. "The United States is troubled by the life sentences handed down to 6 journalists and media employees in Turkey, including Ahmet Altan, Mehmet Altan and Nazli Ilicak" the State Department official told Ahval in an email statement after the verdicts. Türfent’s attorney Barış Oflas talked to Ahval about Türfent’s experiences during his arrest and detention in last November. According to Oflas, Türfent is on trial on false charges of being a member of a terrorist organization and spreading terrorist propaganda, for which he could be imprisoned for up to 22 years. “The goal is to condemn journalism. His case is the height of unlawfulness,” Oflas said, adding that Türfent’s indictment was full of statements obtained from anonymous witnesses, whom he said were tortured and threatened with death if they did not sign statements against Türfent. Most of those witnesses later recanted their statements, Oflas says, and he hopes to bring the case to the European Court of Human Rights.